Experience Past Life Regression and the Soul Consciousness Realm with SoundSynchTech sound frequencies. Experience a 90 minute – 2 hour Remote Session via Zoom Video and access your Soul Consciousness Realm! Includes Ted Winslow’s Sound Healing Frequencies (5 Tracks) in digital download. 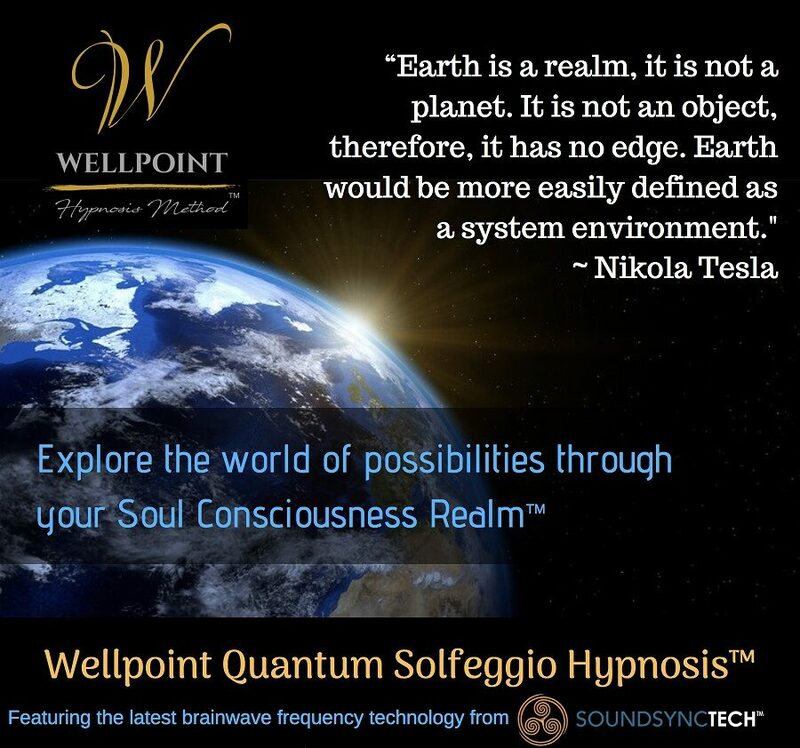 The Soul Consciousness Realm is accessed through the specialized technique of a Wellpoint Hypnosis Method session using SoundSynchTech sound frequencies. This gives the client access to the Quantum Field Within using alpha, theta and delta brainwave states in a unique composition. 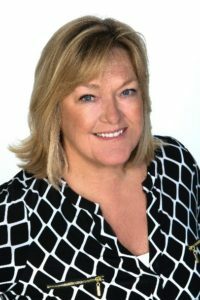 Through this process, I, the practitioner can assist you, the client, in accessing information in your Subconscious Mind, the Superconscious Mind, the Unified Field, and even the Collective UnConscious. This enables you to find a source of an issue, block or limitation, which may facilitate a self-healing response. This also allows you to go deeply into the Quantum Field Within In you bring forth skills and talents from past-lives and future lives, also bringing in new technologies and inventions for New Earth Living. Tap into Your Higher Mind/ Divine Intelligence…. 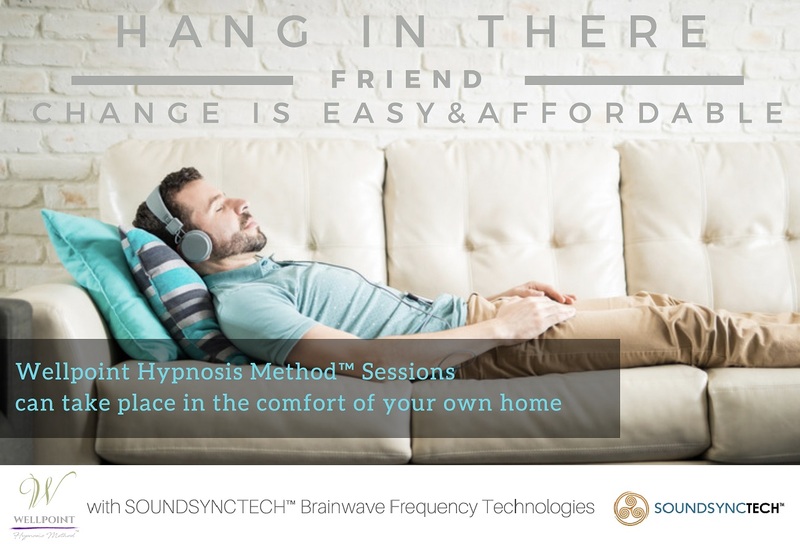 This Sound Healing Technology (SoundSynchTech) has been refined through extensive research with the WellPoint method to consistently induce a relaxing and effective hypnosis session. This assists the body to entrain to the relaxed state which may facilitate a self-healing response within minutes and without unwanted side effects. 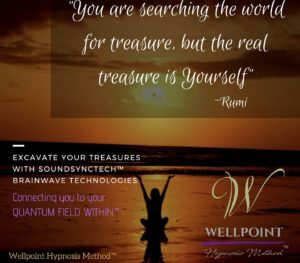 In the WellPoint Hypnosis Method session, your brain is activated through the Beta, Alpha, Theta & Delta brainwave frequencies to reach the different states of consciousness. This is deeply relaxing and it offers access to the Quantum Mind, Your Higher Self and Superconsciousness. Each session includes connection with Higher Self. A recording is included so that you can return to the information you brought forth from the Unified Field or Higher Self. This information is good to return to after you’ve integrated the session. If you schedule multiple sessions, please allow one week to integrate between sessions. Via Zoom Meeting. You must have a pair of earbuds with microphone or other suitable headset and a computer with an internet connection and a video camera that is able to be positioned so I can see you as you recline. Alternative: You can download the Zoom App for your smartphone and share your phone video. (This requires a phone tri-pod to hold the phone while you are in the session). Ability to download and play Audio Mp3s. (This is the healing sound frequencies used in the session). Or you may purchase Ted Winslow’s Sound Healing Frequencies CD from Amazon.